to injections of botulinum toxin. Premier has philosophy of bringing together the glorious resources of nature`s own wisdom-the Dead Sea, with cutting edge scientific discovery to deliver benefits that are derived from the harmony and synergy of these two awesome theatres of wonder. Combining patented, award winning technology with all natural plant and mineral ingredients, Premier brings to you luxury skincare in products so effective, they deliver exactly what they promise. The Biox anti-aging complex is a targeted skin-relaxing complex for an intense antiwrinkle effect and is an alternative, safe solution to injections of botulinum toxin. 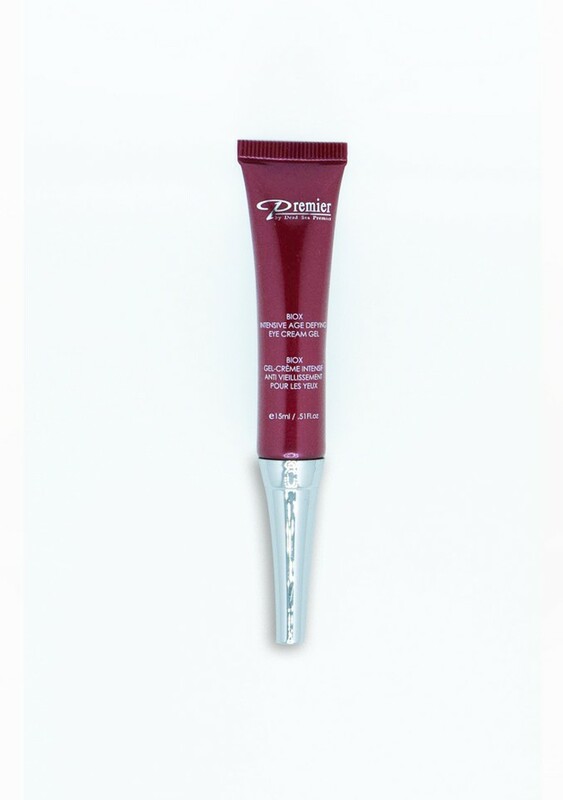 This complex assists in dramatically reducing expression lines and wrinkles, prevents skin sagging, and adds tone and elasticity to the eye contour area. The skin is left firmer, more radiant, and younger looking.